Heyford Fields Marina sits in rolling Northamptonshire countryside between bridges 34 and 35 of the Grand Union Canal. Bugbrooke village is situated 1km away and offers a number of shops including a newsagent/grocer, post office, florist, pet shop, hairdresser and 3 pubs. 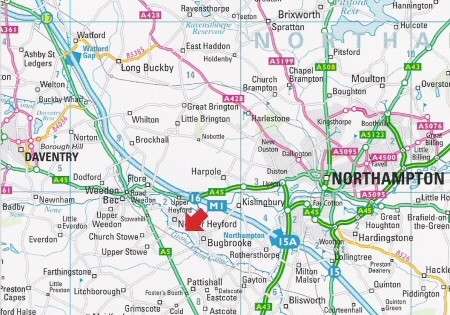 Nether Heyford is 1.5km away and has a post office/mini supermarket, hairdresser, butcher and 2 pubs. Coal and bottled gas are available at Furnace Wharf.